BEIJING, April 7 (Xinhua) -- Chinese Premier Li Keqiang will travel to Europe on Monday for a series of high-level meetings to consolidate China-Europe cooperation at a time when changes and uncertainties are rattling the European continent. The visit, which will last till Friday, will take Li to Brussels for an annual gathering with European Union (EU) leaders, and to Croatia for an official visit and a leaders' meeting of China and Central and Eastern European Countries (CEECs). This is the first overseas trip to be made by the Chinese premier this year and is set to inject new impetus into the China-EU comprehensive strategic partnership. "We believe that this meeting will take the China-EU dialogue and cooperation to a new level, and strengthen the stability, mutual benefitand strategic significance of our relations," said Zhang Ming, head of the Chinese Mission to the EU. At the time of the visit, Brexit uncertainty is looming large over Europe. EU leaders are scheduled to hold an emergency summit on Wednesday to decide whether to give Britain more time to leave the regional bloc, only two days after Li's arrival. Li is expected to send a message in support of European integration process, as well as the EU's unity and growth, said Wang Yiwei, a professor with the Institute of International Affairs of Renmin University of China. China, a consistent supporter of the EU, has always been an advocate for unity, a multi-polar world and multilateralism, he said. The Chinese premier's trip comes just weeks after Chinese President Xi Jinping's state visits to Italy, Monaco and France in March. The almost back-to-back visits demonstrate the importance China attaches to its relations with Europe. Leaders of the two sides will exchange views on bilateral ties and major international and regional issues of common concern, and witness the signing of cooperation documents covering energy, competition policies and other areas, Chinese Vice Foreign Minister Wang Chao told a press briefing on Wednesday. China and the EU are enjoying a sound development of ties, close high-level connections, deepening cooperation and robust people-to-people exchanges, the senior diplomat noted. In the ninth round of the China-EU High-Level Strategic Dialogue last month, China and the EU reached "Ten-point Consensus," which upholds multilateralism and supports an open world economy. "The global significance of the China-EU relations is becoming prominent," said Zhang. Beijing values its comprehensive strategic partnership with Brussels. Fostering a sound relationship with the EU has long been a priority of its foreign policy. The EU has been China's largest trading partner for 15 years in a row and China has become the EU's second largest trading partner, according to China's Ministry of Commerce. Official statistics from the ministry show that two-way trade between China and the EU hit a record high of 682.2 billion U.S. dollars in 2018, up 10.6 percent year-on-year. The two sides are also building up consensus and efforts under the framework of the Belt and Road Initiative, achieving fruitful results. Cooperation between China and the EU is expecting better opportunities, with China's recently-adopted unified foreign investment law, a landmark legislation that will provide stronger protection and a better business environment for overseas investors. "Despite mounting uncertainties in global trade, trade between China and Europe continues to enjoy good momentum. It shows that cooperation between China and Europe has a solid footing and great potential," said Cui Hongjian, head of the Department for European Studies at the China Institute of International Studies, a Chinese think tank. In March, the European Commission defined China simultaneously as a cooperation partner and economic competitor and systemic rival and proposes 10 actions for EU heads of state or government to discuss and endorse, according to the commission's press release. "With the constant deepening of cooperation, there will be competition in areas such as economy and trade, which is quite normal. Moderate and benign market competition helps stimulate each of us to develop better and makes China-EU cooperation more resilient and vibrant," Chinese State Councilor and Foreign Minister Wang Yi said at a joint press conference with EU foreign policy chief Federica Mogherini last month in Brussels. Admitting competition is "not a bad thing," Zhang said. "Competition and cooperation are two sides of one coin. Competition is not a you-lose-I-win and winner-takes-all game." Meanwhile, Zhang argued that China and the EU, while adopting different political systems, are not necessarily becoming rivals. "I think cooperation is the keynote of China-Europe relations. As for competition, the two sides need to work out a better way to deal with it," Cui added. This year's China-CEEC leaders' meeting will be held in the Croatian city of Dubrovnik. Initiated in 2012, the mechanism has gained wide support from the 16 CEEC countries, and has knitted together an all-round and multi-tiered cooperation framework. In recent years, China-CEEC cooperation has been adapting to the constantly changing environment in Europe, and moving forward productively within the framework of China-EU relations and in accordance with rules of the EU, said Cui. According to China's Commerce Ministry, Chinese enterprises have so far invested over 10 billion dollars in the 16 CEEC countries. Cooperation in areas like transportation, energy and production capacity has yielded fruitful results. 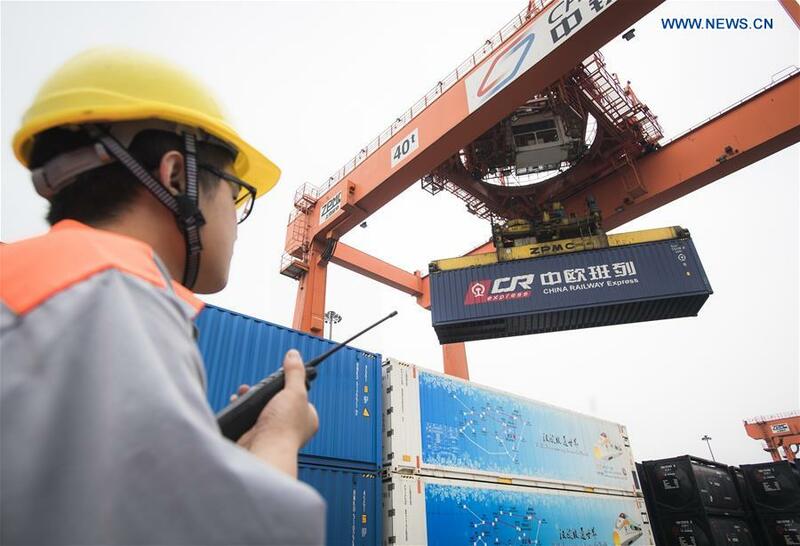 Statistics from China's General Administration of Customs show that the trade volume between China and the 16 CEEC countries reached 82.23 billion dollars in 2018, marking a 21-percent growth year-on-year. In addition, China and the CEEC countries focused on closer subnational cooperation last year, and achieved significant progress in such areas as economy and trade, science and technology, education as well as people-to-people exchanges. The annual gathering is of great significance to promoting steady, long-term development of China-CEEC cooperation as well as China-EU relations, said Wang Chao, the Chinese vice foreign minister. "Spring is unfolding early in Brussels," said Zhang. "The China-EU relations are also breathing in fresh spring air."